I had heard good things about Smashburger. Some say its burgers rival those of the Shake Shack. Naturally, I was intrigued. Now that I’ve tried it, “overly hyped” and “why isn’t my cheese melted” are the only phrases that come to mind. The ordering experience is slightly disorienting at Smashburger. You are directed to take a menu and decide what you want. Chicken is on one side; burgers on the other. I’m not sure why chicken gets so much real estate at a place called Smashburger, but that’s just me. My burger was just okay. The egg bun looked different than I thought it would and the burger was much larger than I had expected (they’re 1/3 pound patties, but you can also order a 1/2 pounder). It was dripping with a certain special smash sauce which tasted like relish. The burger was unwieldy–too many toppings, too big of a patty and too massive a bun. And my biggest gripe of all — the cheese wasn’t melted. I hate when burger places do this, as though they’re too busy to melt the cheese for you. What’s up with that? My partner’s burger, also unwieldy, was fine, but I wouldn’t order that if I visited again. In fact, I won’t visit again so I guess ordering decisions won’t be much of a problem in my life. I ordered the Smashfries on the side of my burger. They’re tossed in rosemary, olive oil and garlic and are pretty decent as far as fries go. 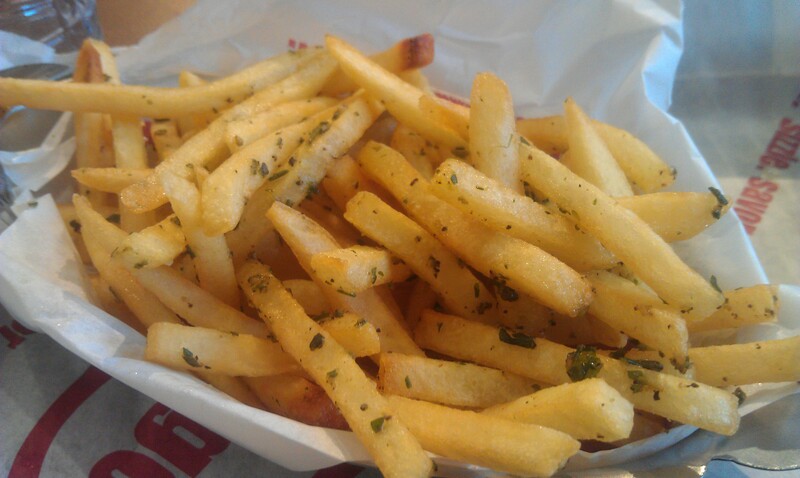 However, I’m not a fries person, so don’t trust my word. 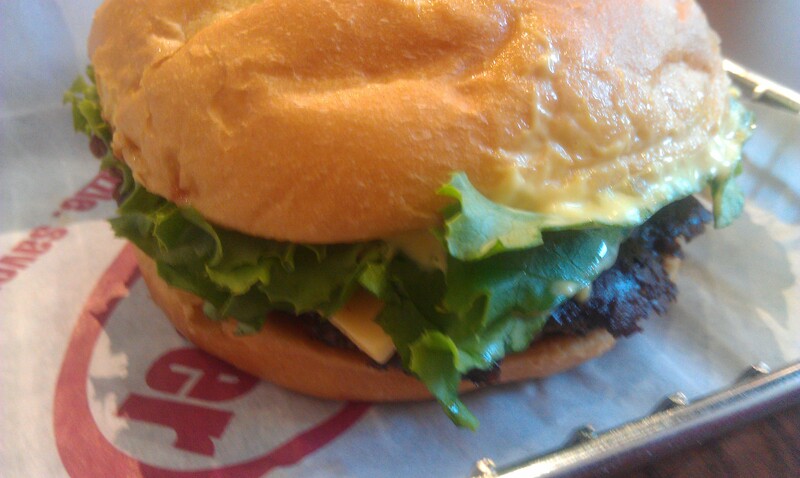 Overall, I wouldn’t recommend Smashburger unless, of course, you live near DeKalb Avenue in Brooklyn. For Manhattanites, it certainly isn’t worth the trek.